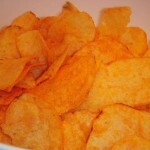 After a number of years, I finally got to do a head to head comparison of Better Made’s Red Hot Barbeque verse their regular Barbeque chips. 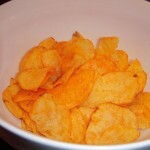 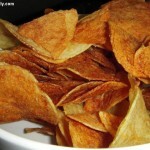 At first I liked the regular barbeque chips from Better Made more. 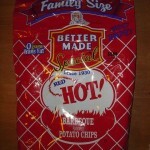 But after trying the Red Hots, I can now say that I’m a Red Hot Barbeque convert. 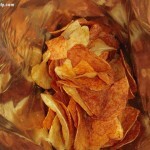 The thing is, its not that the Red Hots are that much hotter than the regular BBQ chips from Better Made. 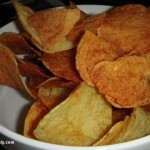 But with the addition of paprika and smoke flavor in the Red Hot’s, it really adds something different to these chips that you don’t get with Better Made’s regular barbeque chips. 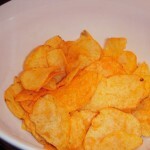 Though I wouldn’t necessarily have these chips all the time, since I can only take so much barbeque chips. 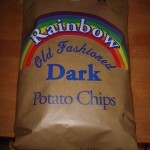 But if I still lived in Michigan, every couple of months I’d place these chips into the rotation to mix things up. 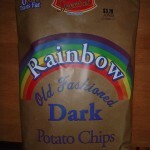 But since I’m not in Michigan anymore, I’ll just have to settle for picking up a bag whenever I’m back in the state.